Fresh Baby LLC. 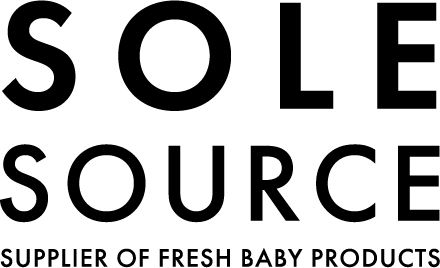 (referred to as “Fresh Baby”, “we”, “us” and “our”) respects the privacy of every individual who visits Fresh Baby Web sites and online areas, participates in interactive bulletin boards or forums, or purchases Fresh Baby products on-line. This statement outlines the information Fresh Baby will collect and how we will use that information. This Security and Privacy Statement will apply to your use of myfreshbaby.com, yahoo.myfreshbabystore.com, or any other Web site owned or operated by Fresh Baby (“Fresh Baby Web sites”). This policy statement will also instruct you on what to do if you want Fresh Baby to remove your personal information collected or stored during previous visits to the Fresh Baby Web sites. Our postal address is 523 East Mitchell Street, Petoskey MI 49770. We can be reached via e-mail at info@freshbaby.com or by telephone at 231-348-2706. Fresh Baby will not collect or retain any information about you personally (that is, your name, address, telephone number, or e-mail address) unless you provide it to us voluntarily. We will collect information from the Fresh Baby Web sites in several ways. If you register for the Parent’s Club, we will ask you for personal information including, but not limited to your name, address, zip code, and e-mail address. This personal information will be stored in your personal profile. Once you have submitted this information and chosen both a valid username and password, you will be able to take full advantage of using the Fresh Baby Web site. When you make a purchase from the Fresh Baby Web site, we will also ask for your credit card information, as well as, billing and shipping information. We will send out confirming e-mails whenever you register or make a purchase, to inform you that we received your personal information or to confirm your purchase. If you do provide us with personal information, we may retain and use that information for several purposes. First, we may store and process the information to better understand your needs and how we can improve our products and services. Second, we may retain information about your previous purchases of Fresh Baby products in order to customize our Web site services for your future visits to the site. Third, we may use your e-mail address to send you updates about new products, specials and other items of interest. If you have already submitted this information and would like to remove it, you can e-mail us at the e-mail address listed at the top of this policy and request to have your personal profile deleted. However, if you made a purchase, we will need to retain certain information for billing and shipping purposes. Fresh Baby does not intend to collect any personal information (such as, name, address, age or e-mail address) from persons under thirteen years of age. If a parent or guardian of a child who has provided us with such information would like the information deleted from our records, he or she should contact us at the e-mail address or phone number listed at the top of this policy statement. We will make commercially reasonable efforts to delete the child’s information from our existing files. When you view one of Fresh Baby Web sites, we may store some information in the form of a “cookie” or similar file that is automatically downloaded to your computer. Cookies enable us, among other things, to tailor a Web site to better match your interests and preferences or to make it easier for you to use our Web site. Please be assured that cookies are safe. They are not programs that can be used to damage files, and personal information cannot be gathered from them. If you do not want cookies sent to or stored on your system, most Internet Browsers will allow you to erase cookies from your computer hard drive, prevent them from being stored or trigger a warning before a cookie is stored. Please refer to your Browser instructions or help screen to learn more about these functions. If you registered with us, and would like to change or modify any information contained in your personal profile, please send us and e-mail to address listed at the top of this policy and we will make every effort reasonable to accommodate your request.